Diamond shape refers to a diamond's physical form, and is often one of the first attributes that couples consider when shopping for a diamond. While round diamonds are the most popular choice, many couples are also drawn to the distinctive look of non-round, or "fancy shaped" diamonds. 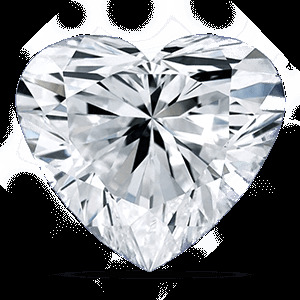 Fancy shaped diamonds include princess, cushion, emerald, asscher, radiant, oval, pear, and heart shaped diamonds. Each diamond shape has its own unique characteristics and is cut to different specifications, which impacts the overall look of the stone. Some diamond shapes are cut to optimize light return. These are referred to as brilliant cuts, and include round, princess, cushion, marquise, oval, radiant, pear, and heart shaped diamonds. The facets on the pavilion, or underside, of these diamonds meet at a point, which ensures maximum light return. Other diamond shapes are cut to highlight the clarity of the diamond. 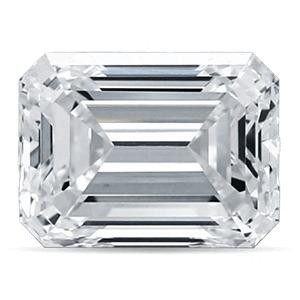 These are referred to as step cuts, and include asscher and emerald shaped diamonds. These shapes feature parallel facets on the pavilion, which offers a subtle shimmer while accentuating clarity. 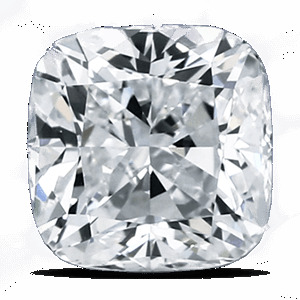 Diamond shape is often confused with the cut, which is one of the 4Cs (cut, color, clarity and carat). Though diamonds are cut to create different shapes, and different shapes may lend themselves to either brilliance or clarity, the term "cut" refers to the way light is reflected throughout the individual stone through its facet arrangement. 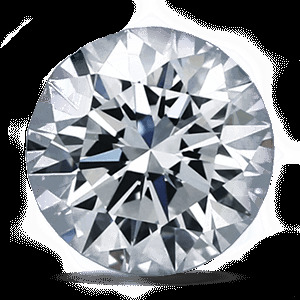 The cut of the diamond determines light refraction and sparkle and scintillation. When selecting a diamond, we recommend choosing a diamond with a cut grade of Very Good and above (Very Good, Ideal and Super Ideal) to maximize sparkle. An overwhelmingly popular choice, with 58 facets cut to produce incredible sparkle; round shaped diamonds are truly timeless. Renowned for its unrivaled fire and blaze, this shape boasts excellent light refraction properties. 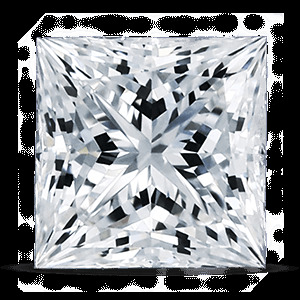 The radiant cut diamond is a stunning blend of other cuts. Its brilliant-cut facets are inspired by round and princess cuts. A modern shape with lots of sparkle. the radiant cut is a sophisticated choice for those who wish to stand out. 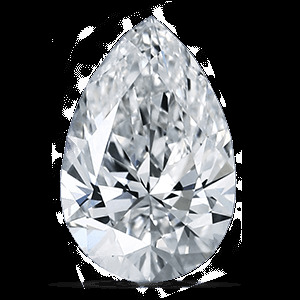 A striking shape, the pear cut also known as teardrop, is a cut that can appear unique or classic, depending on its setting. With 58 facets, it is a brilliant cut that exhibits lots of sparkle. Its elongated shape lengthens the finger, making it a flattering choice for diamond pendant & engagement rings. With its large table and distinctive step cut pavilion, the emerald shape inspired by its namesake gemstone. Cut with fewer facets than round and princess cut diamonds, the emerald cut emphasizes a diamond's clarity, rather than its sparkle. A distinctive cut, the marquise has pointed ends and smooth curves for a dramatically beautiful appeal. 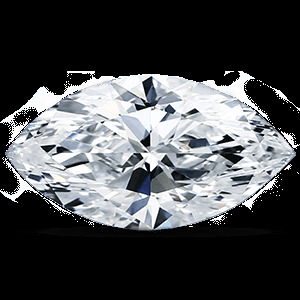 A greater size per carat weight than any other cut means that your diamond will appear larger making this a rare and eye-catching choice. The heart cut diamonds has become synonymous with love and affection. It is among the most romantic of the diamond shapes making it an excellent choice for an anniversary or engagement ring. When selecting symmetry is essential, as the two halves of the heart must be identical. The oval cut diamond shape brings together the sparkle of a round diamond, with the elongated design of a marquise diamond. 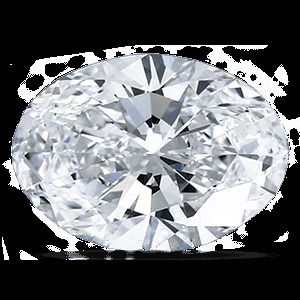 Cut with the same number of facets as a round diamond, an oval shape emits nearly the same level of blaze and fire. A square stone with 90-degree corners, the princess cut diamonds is the second most selling shape, due to Its modern, symmetrical shape and stunning sparkle. It the most popular fancy cut, particularly for engagement rings. Cushion cuts are reminiscent of round and oval cuts that have a classic, romantic appeal. 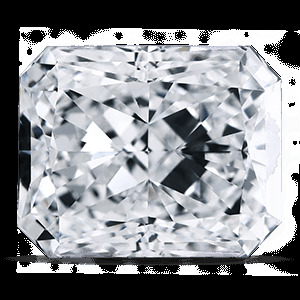 With 58 facets cut into a square or rectangular shape with rounded corners and sides, it's considered by many to be a more vintage version of the round cut diamond. 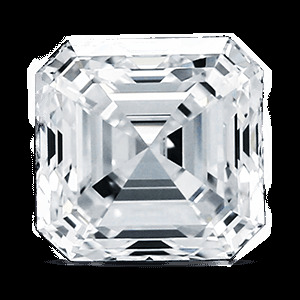 A variant of the emerald cut, the asscher shape is recognized for the x visible in its table. Its square shape draws comparisons with the princess cut; yet its step cut sides set it apart. They are bright, shiny, and clear in appearance. It is important to get one that is flawless or as close to as flawless possible.